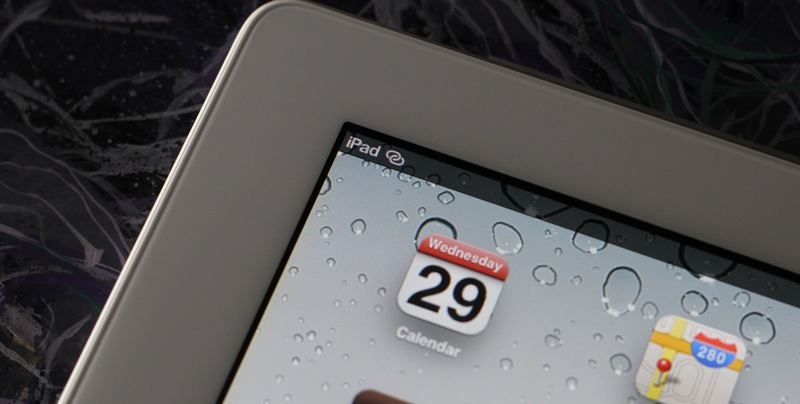 Will the next Apple tablet really be called iPad HD? So there have now been two recent reports that the new Apple tablet being introduced on Wednesday won’t be called the ‘iPad 3’. Instead, both Cnet and Venturebeat are claiming that their sources are telling them that it will be called iPad HD. A rumor that the next iPad would feature the ‘HD’ signifier actually began circulating back in July of last year. Joshua Topolsky of The Verge posted information from a source about a new tablet featuring a double-resolution screen was about to be announced in the fall, to be called the iPad HD. The timing turned out to be incorrect, but now the naming rumors have been resurrected. Just how likely is it that we’ll be seeing the name iPad HD displayed on a keynote slide next Wednesday? Lets chat a bit. First, lets play devil’s advocate and talk about some ways that a name change like this makes sense for Apple. It describes the defining feature of the device. As far as we (think) we know today, the biggest new feature of the next iPad will be its Retina display. Packing a resolution of 2048×1536 pixels, it will be far crisper than the screen on the last two iPads. It’s likely to be the biggest bullet point on any list of ‘reasons to buy the new iPad.’ Emphasizing the defining feature of a device right in the name of a device is a trick that Apple has used in the past with the iPhone 3G (3G connectivity) and iPhone 3GS (S for speed) most recently. Arguably, the iPhone 4S used the same trick, but the S was for ‘Siri’, although that’s debatable. HD is easily relatable for the common consumer. Apple has its own nomenclature for its super-high-resolution screens. It calls them ‘Retina displays’. For the average consumer, however, the yardstick of display quality is HD. The difference between standard definition and high definition has been drilled into consumers by the television industry over the last ten years. People are conditioned to see HD as ‘sharper and better’, two things that Apple will doubtless want customers to think about the iPad. Everyone knows ‘HD’ is better. It makes sense if they keep the iPad 2 around as a low end option. If the iPad 2 sticks around, as at least one of its models is rumored to be doing at this point, then having a clear differentiator may be useful. It may also help the iPad 2 not feel ‘old’ but instead ‘cheaper’. If its offered at $399 as a ‘current but less full-featured’ model, it could sell better than if it was positioned as the older ‘2’ to the brand new iPad 3. Now lets flip the argument, what reasons are there for Apple not to call it the ‘iPad HD’? Other manufacturers, lots of them, already use HD. There are a ton of smartphone and technology manufacturers that use the term HD and they do so willfully and with abandon. Many times it’s used to merely indicate a newer model with a slightly higher quality display or perhaps even just a bigger one. This is a far cry from the immense improvement that a Retina display signifies over the older iPad. Why would Apple associate itself with this hackneyed and overused term? Apple already has a name for the iPad 3’s screen. It’s Retina, not HD. Apple has spent two years pounding the term Retina into the collective tech consciousness. While it didn’t invent high-resolution screens that moved above the ‘36 arcsecond per pixel‘ threshold, it did popularize the term Retina for use with displays and has spent a lot of marketing money and effort to make it the term by which people referred to Apple’s displays particularly. It wants people to think of the iPad 3’s display as Retina, not HD, like every other TV or poorly named smartphone. Numbers say ‘better’ more effectively than ‘HD’. Apple doesn’t need an ‘HD’ to convince people that the latest iPad is better than the older version. A numeric scheme is just effective, if not more effective at communicating that the latest version is better. It’s the same reason that you see camera boxes emblazoned with huge ‘X Megapixels’ labels, when the amount of raw pixels now means next to nothing in the world of digital photography. They’re easy for customers to pick out as better and easy for sales associates to shrug and point at the one with the highest number in big box stores. Slap a ‘3’ on the end and call it a day, people will get the message. It may detract from other new features of the next iPad. As a converse argument to the one about emphasizing the best new feature of the iPad 3, what if there are features yet to be revealed that Apple feels are just as big a selling point? It’s likely that these would be software or internal-hardware related, because there’s not a lot of room on the exterior of the iPad for new widgets. But emphasizing the higher resolution display as the primary selling point may minimize whatever other features Apple has lined up. A recent survey put the want for better battery life, a better camera, a faster processor and wireless syncing above a fancy new display for some consumers. We have no information about the new iPad being called ‘3’ or ‘HD’ so there is no way to tell whether Apple has settled on iPad HD or iPad 3 at this point. The speculation above is completely a matter of opinion. Having three separate publications chime in with the iPad HD name at this point seems to indicate that this may be more of a sure thing than not. But there is always a possiblity that both Cnet and Venturebeat heard the information from sources which are not as well informed as they think they are. Or sources that have been provided with information that isn’t accurate purposefully by Apple, a tactic that they have been known to use in the past in order to suss out leaks. We presented both sides of the argument above as there is no way to tell for sure at this point. But if we had to simply guess based on our gut, we’d say no to ‘HD’. We’d love to hear your thoughts, please use the comments section below to tell us why we’re wrong about this, or so very right.